The leading independent specialist for windscreen replacement and windscreen repair based in Burnley and serving all of the Burnley area. National Windscreens Burnley fitting centre provides windscreen replacement and windscreen repair services to businesses and individuals throughout Burnley and the Burnley area. Burnley is a traditional market town located in the county of Lancashire, 24 miles north of Manchester and 20 miles east of Preston. The town can be accessed by the A671, A6068 and the M65. Burnley was one of Lancashire’s most prominent mill towns during the Industrial Revolution - at its peak it was one of the world’s largest producers of cotton cloth and a major centre of engineering. 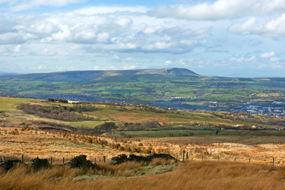 Burnley now acts largely as a dormitory town for Manchester, Leeds and the M65 corridor. Burnley boasts some beautiful countryside and historic museums. The Burnley windscreen fitting centre and its mobile vehicle glass technicians service the needs of Burnley and the surrounding area including Blackburn, Accrington, Nelson and Colne. With 108 fitting centres and over 800 mobile technicians, National Windscreens operates the UK's largest windscreen repair and windscreen replacement network. The company provides low cost, high quality windscreen replacement and windscreen repair from its Burnley fitting centre 24 hours a day, 7 days a week, 365 days a year. Repair and replacement of all types of vehicle glass including windscreens, rear windows and side windows is undertaken throughout Burnley and all of the Burnley area.